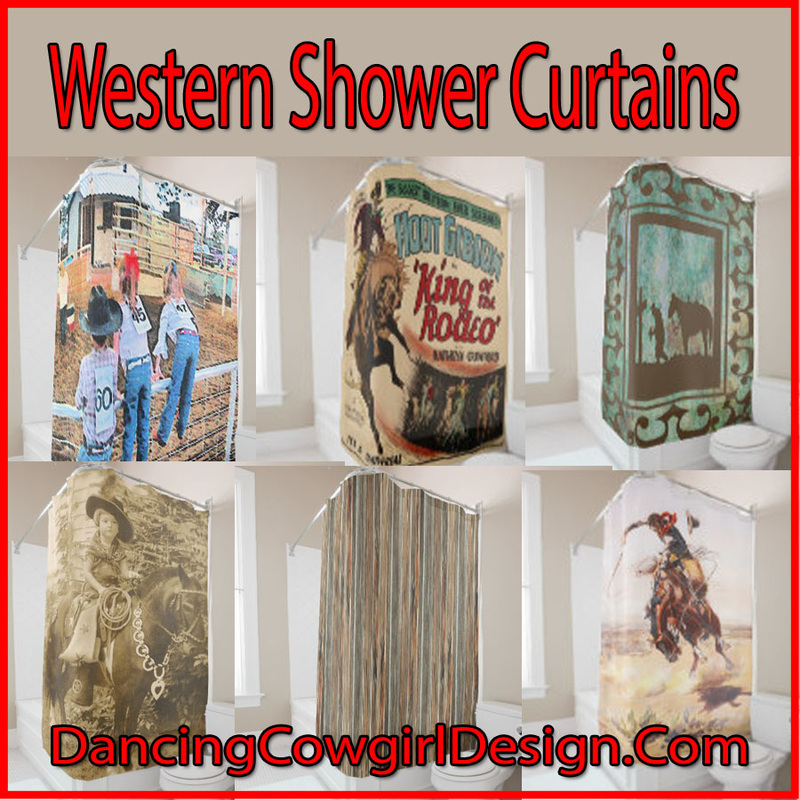 Western curtains, western drapes, valance, window treatments. 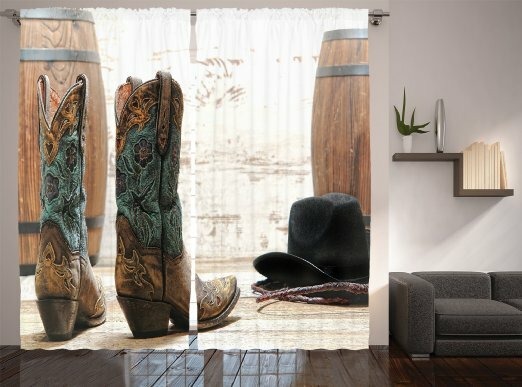 Unique western theme print home decor for windows. 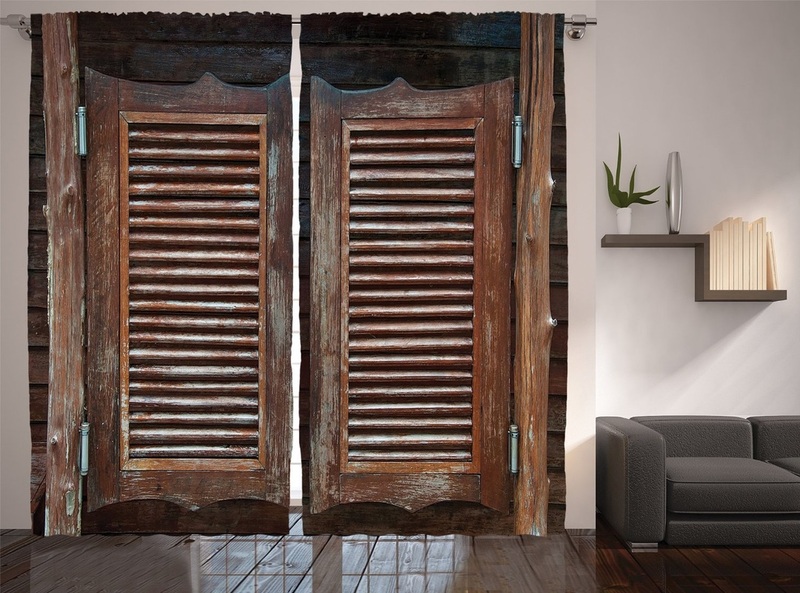 Country and rustic window treatments. 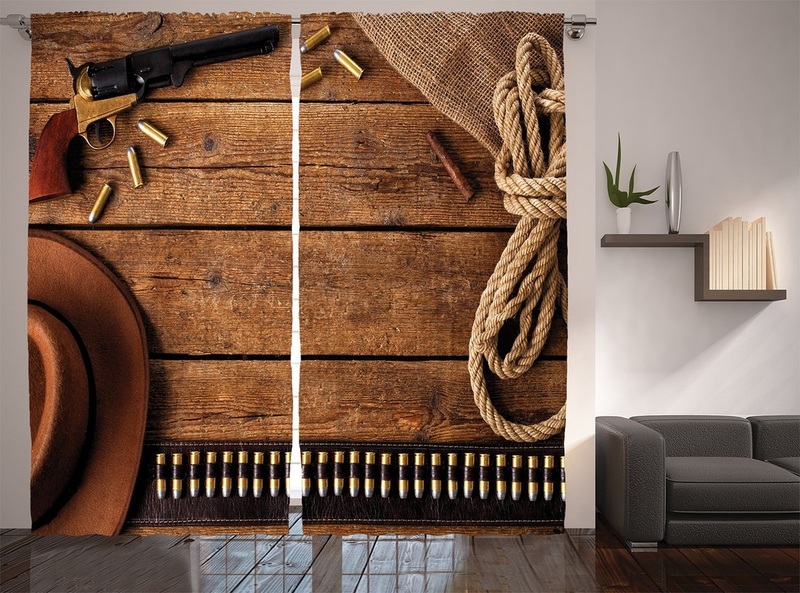 If you are looking to change the look of a room to a western theme, you will not find anything more western than what is right here. I ran across some unique and very western prints that will easily do the job. 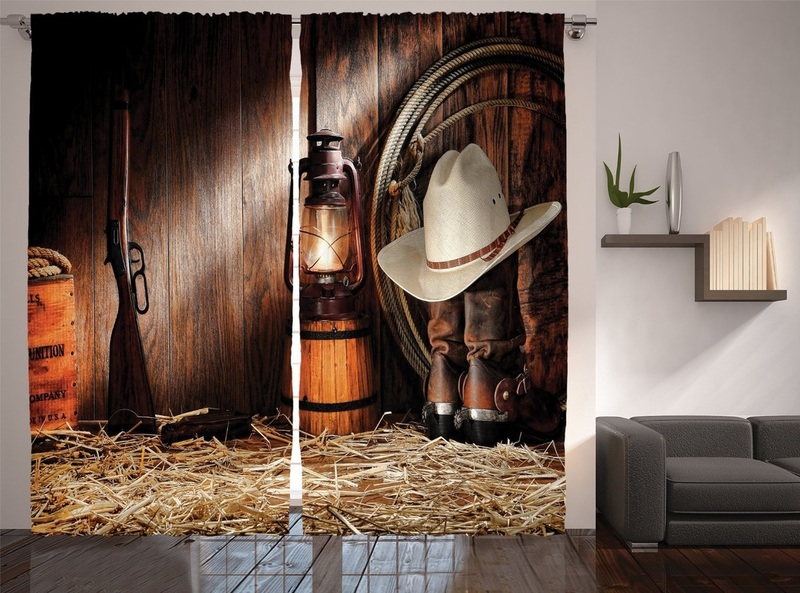 There are also some traditional style drapes and valances with western and horse designs. 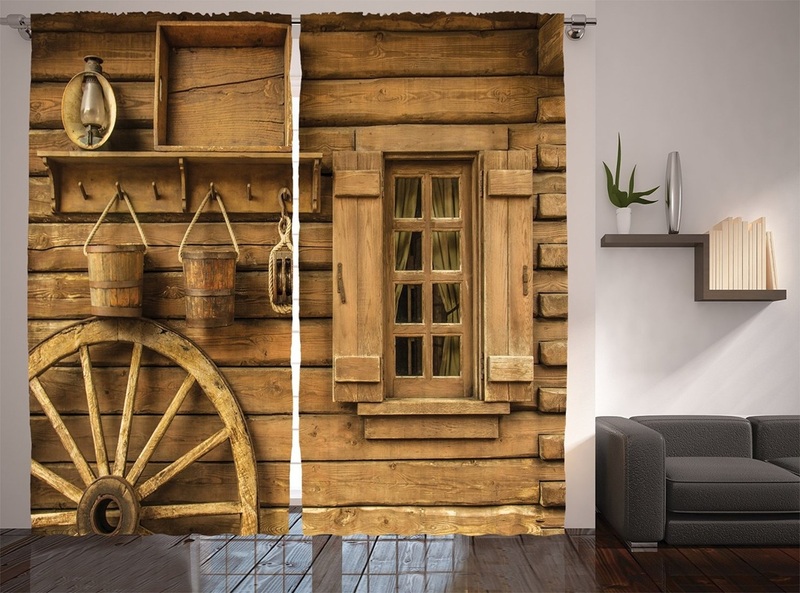 Have a look at these western print curtains. There are several different ones that I have shown here and there are a few more from this same maker. Most of these prints are also available on wall hangings and shower curtains. These are made of silky satin polyester blend and are machine washable but need to be hung to dry. 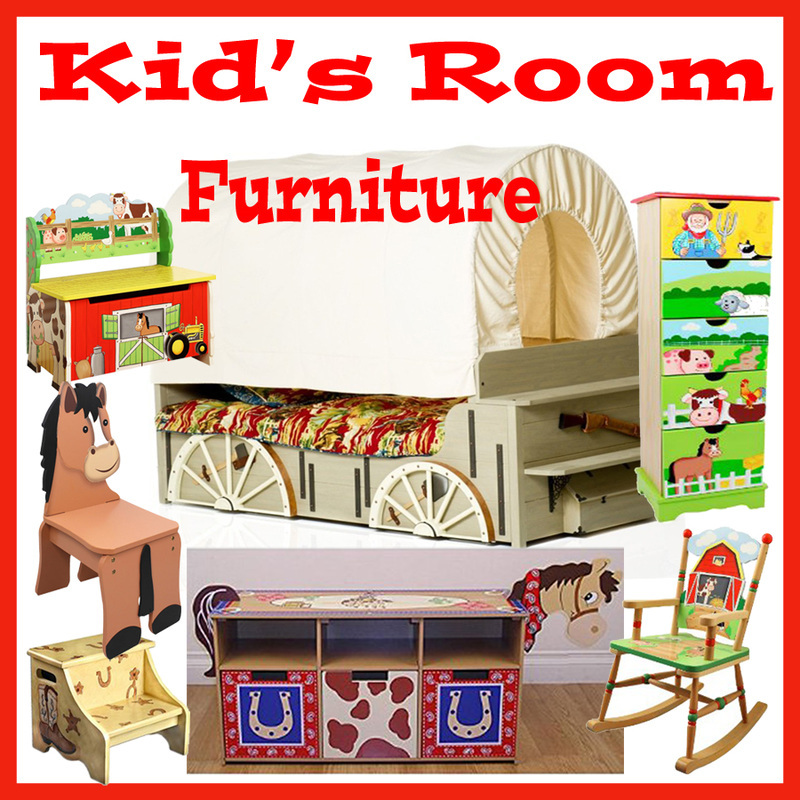 Each set includes two panels. They are available in 2 different sizes. ​I just wanted to note that if you go to the product page and zoom in on these you will see that the top and bottom have a rustic looking edge. 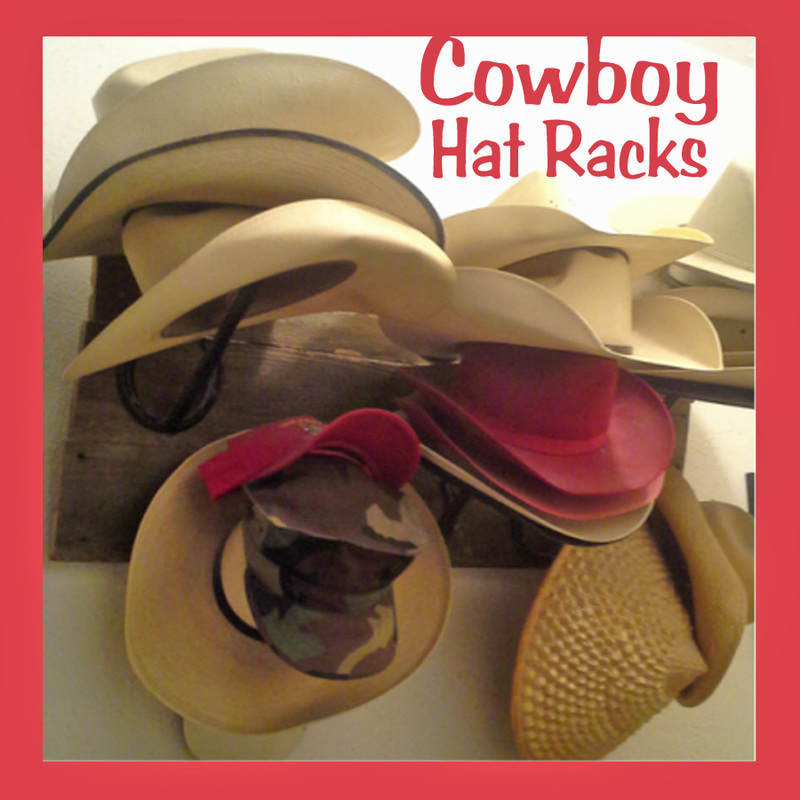 Western stars are very popular on all types of home decor. This drapery set with stars on the valance comes in several different color combinations. This is a complete set that includes drapes with attached valance and tie backs. It features embroidered stars and faux leather details. Besides the horses running wild in this print, the thing that caught my eye is the rope print border at the top and bottom of this valance. 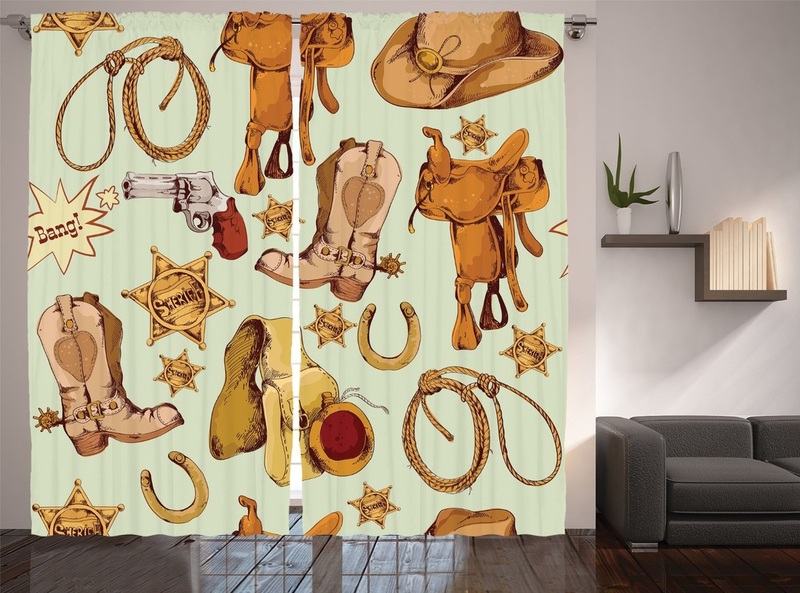 This is from a collection of bed and bath accessories that include drapes, bedding and shower curtains with this horse design. 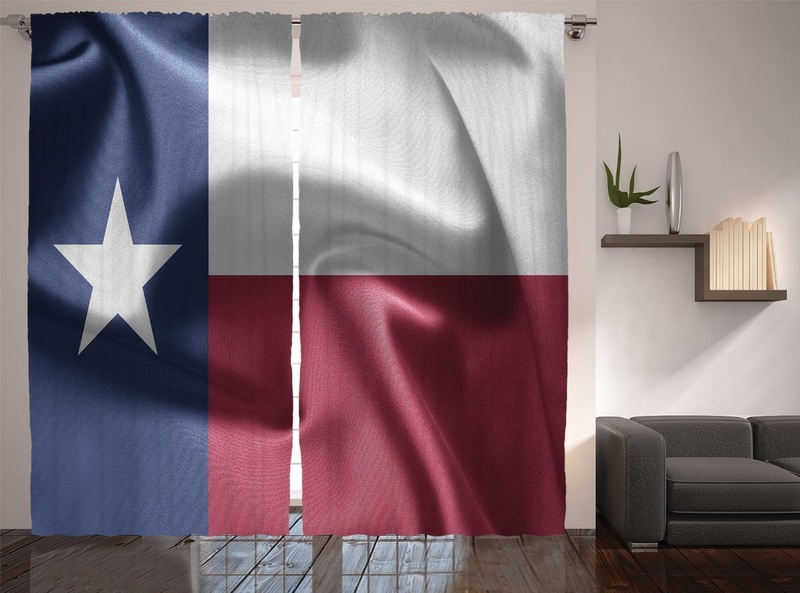 ​Use these drapes alone or with the matching valance shown above. They come in blue or brown and are trimmed in faux leather and fringe. This set come with 2 panels and matching brown tie backs. This is a faux leather valance that will look good be itself or in combination with the matching drapes. ​It measures 18 x 84 inches. You will appreciate to look of this even more if you see the zoomed in photo. There is a paisley print look in the faux leather . 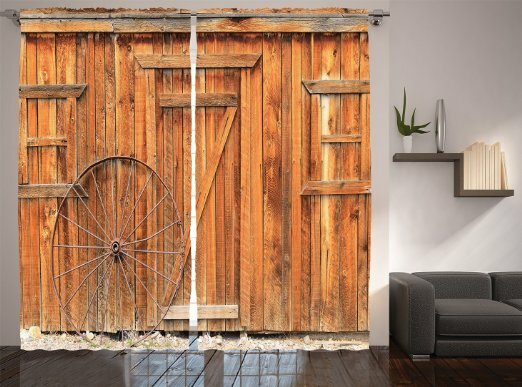 Need Western Fabric To Make Your Own Curtains? 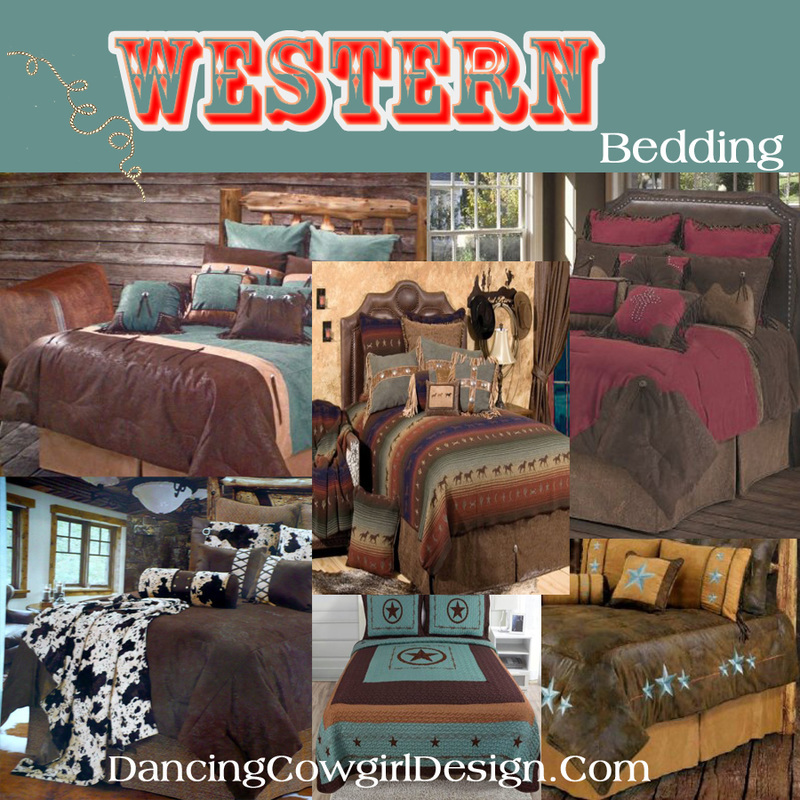 Visit the page about my western and rodeo designs on fabric.